Bristol, London, Milton Keynes and Nottingham have all been named as ‘Go Ultra Low’ cities, set to increase uptake of plug-ins by offering benefits like bus lane access or free parking. To implement the changes, which will also include street lighting with integrated charging points, the Government has set aside £40m. Dundee, the North East of England, Oxford and York will also benefit from the funding, which will go towards building more infrastructure, such as solar-canopied park-and-ride hubs for York and a new commuter charging area in Dundee. Milton Keynes has promised to make all 20,0000 of its parking spaces free for ultra-low emissions vehicles and has secured £9m in funding to build an ‘Electric Vehicle Experience Centre’. 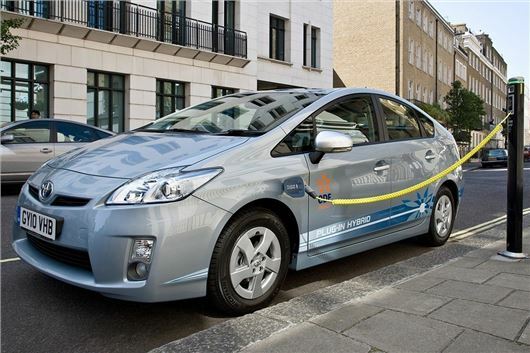 This will provide advice and short term loans of plug-in vehicles in an effort to encourage more people to buy them. London received £13m to fund ‘neighbourhoods of the future’, with improved infrastructure for plug-ins across several boroughs. Among the proposals are priority parking spaces for plug-in vehicle owners and “traffic priority”, which will likely include access to some bus lanes. Bristol and Nottingham have secured £7m and £6m, respectively. Bristol will open three carpool lanes to plug-in vehicles and will introduce a leasing scheme, while Nottingham and Derby will install new charging points and open bus lanes to plug-in vehicles.